Add endless sparkle to any wedding, prom, bridesmaid, pageant or special occasion with these gorgeous pierced statement earrings by Mariell. Our top-selling rose gold chandelier earrings with clear crystals will deliver a serious dose of bling...at a super affordable price. At 2 1/8" h x 3/4" w, our bold pear-shaped crystal teardrop chandeliers will guarantee to turn heads as you dance the night away. 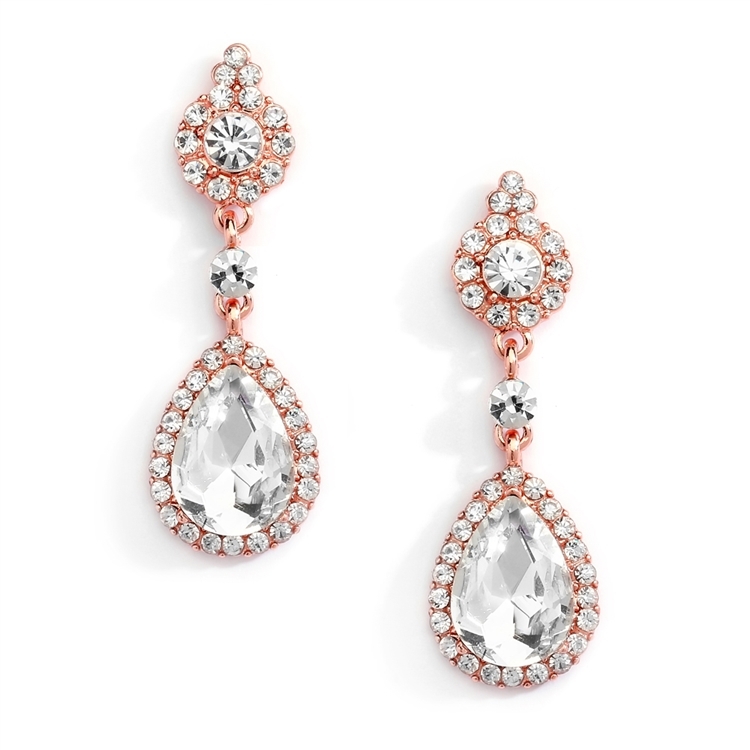 We promise your customers will adore these dazzling crystal drop earrings or your Money-Back.